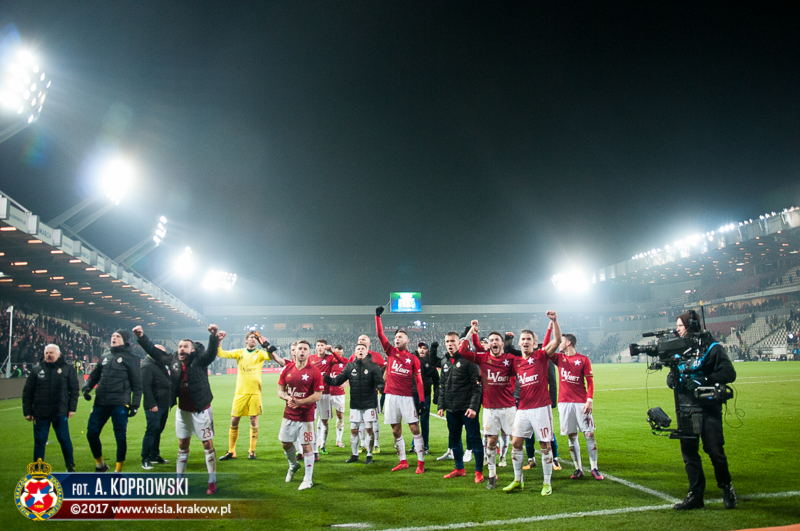 The two-month winter break comes to an end, and Ekstraklasa is back to business. In 21 games Wisła fans went through several emotional extremes, but now hope to qualify for the Championship Round Playoffs. Four wins in five games, an exciting offensive play, and a new dynamic in the team: Wisła did not miss their season start. Unfortunately, the next results quickly brought the fans back to Earth. While Wisła scored many goals, they also conceded many. A negative series of one win in six games followed their sparkling start – bringing doubts, struggle, and a confidence drop on the team. Things slightly improved from mid-October as they reversed the negative cycle and only lost one in five games. However, the last five games of the year lead back to disappointing performances, to end 2017 with three defeats in five games. Overall, Wisła managed to produce sparkles at times, but they lacked continuity and consistency in their performances, conceding too many avoidable goals and wasting many points. They lacked efficiency in key moments where they could have “killed” the score but ended up drawing or losing the game. Coach Kiko Ramirez managed to enhance the offensive power by introducing a quick, technical, and direct play with fast wingers and a higher ball possession. However, the shaky defense unbalanced the team and Coach Ramirez never found the solution to it. 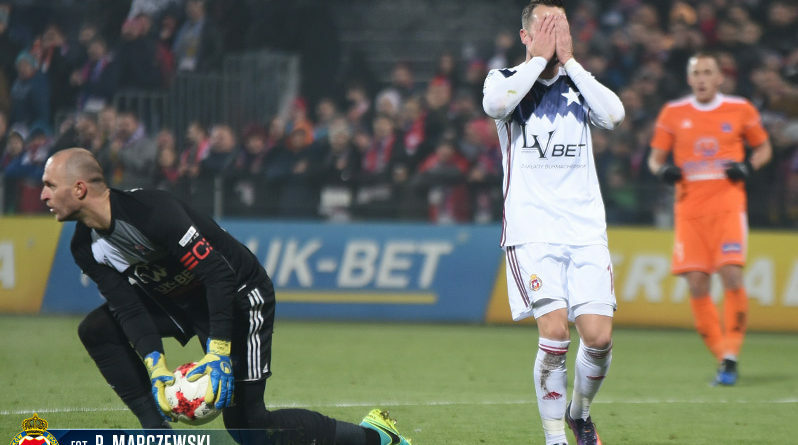 Wisła at least managed to shine during the Krakow derby, with a strong 1-4 win against Cracovia. An impressive result not seen in the recent years, which surely cheered up the fans. On top of this, the club can be hugely satisfied with their Spanish gem Carlitos Lopez. The Alicante-born striker scored 15 in 21 games, and has been a real breath of fresh air not only for Wisła, but also for the entire league. His speed, technique, and ease with which he creates goal situations put him among the top players so far in the season. But his performances also attracted many teams willing to transfer him, and it will be hard to keep him in Krakow. Coach Ramírez did not survive the disappointing first half of season and was dismissed, replaced by another Catalan coach: Joan Carrillo, former Videoton, Almeria, and Hajduk Split coach. 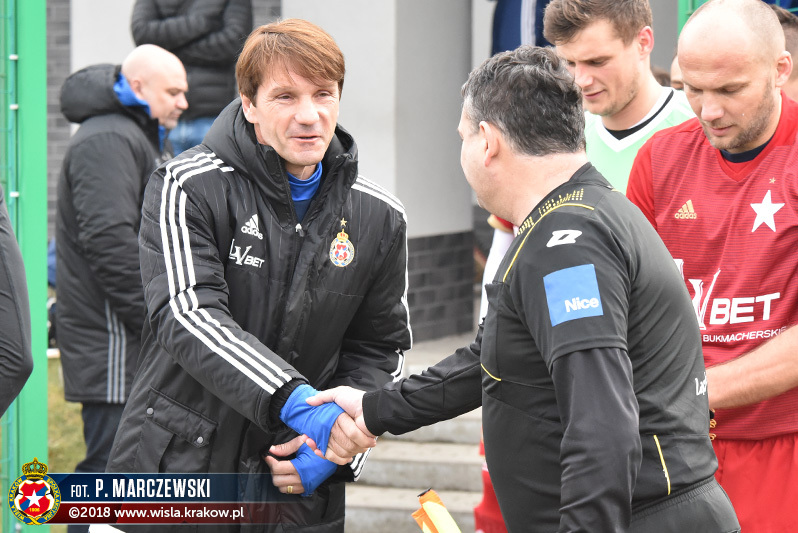 The new coach signed four players: Petar Brlek (who spent three years at Wisła before moving to Genoa last year), Nikola Mitrović (experienced Serbian defender who played in Greece, Hungary and Israel), Matej Palčič (Slovenian defender from Maribor), and Asmir Suljić (Bosnian player from Videoton). He can also rely on the experienced Marcin Wasilewski, who joined the club in November after years abroad in Anderlecht and Leicester City. A new coach means a fresh start, but also a new style, approach, and tactics to assimilate. The team will have to go once again through a new cycle and start over, which is not ideal when it happens mid-season. The team stayed in Spain for their yearly training camp, to prepare the second part of the season. And Coach Carrillo takes up the team at a delicate period. With nine games to go, Wisła has to be in the Top 8 in order to qualify to the Championship Round Playoffs. With though games ahead (including away games in Legia, Jagiellonia and Gdańsk), the team is currently 8th but will have to consolidate their spot. Moreover, Wisła is only 7 pts behind the league leader Legia Warsaw, which keeps them in the race for the league title. 2018 will start with a long and complicated trip to the Baltic Sea, to face Lechia Gdańsk on Saturday, February 12th.